This game had potential, but you're fighting against the gem smashers. 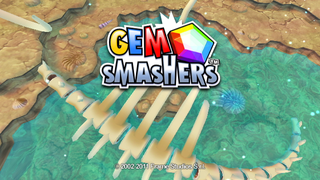 Actually, Gem Smashers is an action-puzzler involving small arenas and fragile, colorful gems which can be smashed by bouncing off them. It's kind of like Breakout, but without any paddles or holes. This game (alongside its 3DS counterpart) is in fact the second remake of the Game Boy Advance title of the same name. It was previously given a crunchy M&M coating and released on GBA and Nintendo DS as M&M's Break 'Em. Specifically: These videos should be decoded and uploaded somewhere rather than screencapped. Several files in the /Video directory go unused by the game. These include 505Logo.mo (505 Games being the intended publisher for the unreleased European release), Logo.mo (an animated version of the Frame Studios logo seen on startup) and sample.mo/sample.wav (an old-timey film reel opening presumably used for testing), as well as VideoPlaceHolder.tga, seen at right. 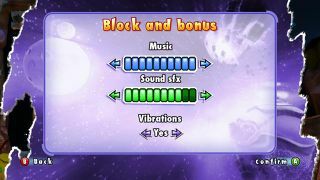 A great deal of evidence left in the Wii game suggests that it was originally or additionally intended to be released on the Xbox 360 and/or PC, and possibly also on PlayStation 3. 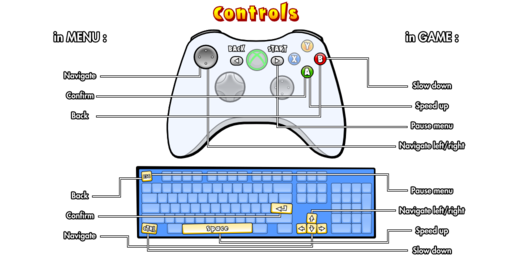 Hiding in /files/Gui/Demo are control guides for the PC and Xbox 360, neither of which the game would ultimately appear on. 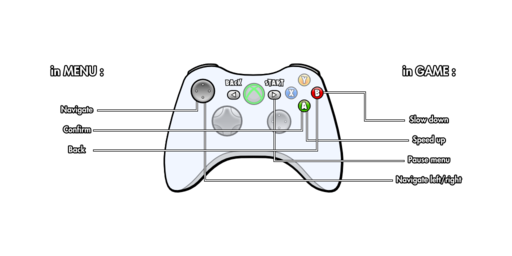 In /files/Gui/Buttons is another Xbox 360 remnant, SystemButtons.tga. 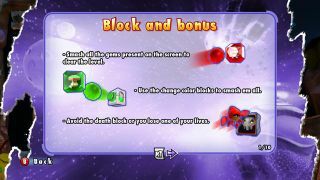 This series of "how to play" graphics found in /files/Gui/Pause seem to be from the Xbox 360 development period. 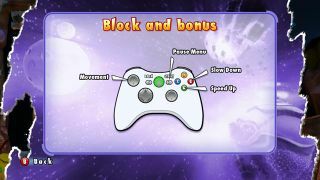 In addition to the full composited images shown here (they are indeed JPEG format on the disc), each of the smaller graphics are included separately as TGAs, as with Xbox_pad.tga, shown last here. 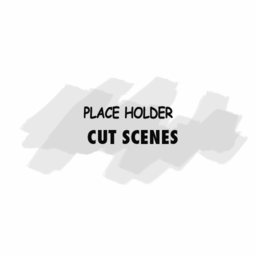 These files in /files/Gui/MainMenu all seem to relate to a prerelease demo version of the game, so it's likely they're connected to the PC and Xbox 360 graphics, which also dated to a demo. 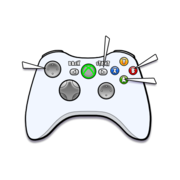 Under the /base/shaders directory are a large grouping of shaders for DirectX 9, 10, and 11 as well as Xbox 360 and PlayStation 3, in the vShaderBin format. While there is other evidence of PC and Xbox 360 versions, these are the only sign of a possible PS3 release. However, it's also possible these are simply included because they came bundled with the cross-platform Vision engine which powers the game. Under /files/Texts is a mysterious file with the inscrutable name Texts.txt. It's got texts, some of which aren't used. 1100,"Not available in this demo"
In the disc root are a series of TGAs which form the game's animated save icon, to be displayed on the Wii Data Management screen. Along with these files is the plaintext file save.tcs, seen below. The final graphic, iconBanner.tpl, was generated using this file. 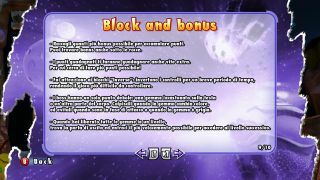 The 505 Games version of the copyright screen (exceedingly boring and thus not shown) is also available at /files/Gui/LegalLinePAL.tga. 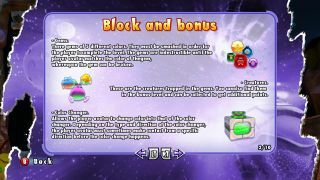 Like some other Wii and GameCube titles, Gem Smashers leaves in some example content from the Nintendo SDK such as the Home Menu demo (hbmdemo) and gxTextrs.tpl. Present among the game's files are the first three Articles of the US Constitution, which dictate the separation of government into three separate branches. This text can be found as plaintext in constitu.arc, a standard Wii U8 archive, in which each Article is separated by directory and each section is a file. The most likely explanation for their inclusion is to draw attention to the game's ham-fisted allegory of power, as laid out by the three playable characters: a crab (the legislative branch), a bird (the executive branch), and a hedgehog (the judiciary branch). ...Okay, not really. The real reason is because it's an example file in the Wii SDK, probably because the text in the US Constitution is free to redistribute. 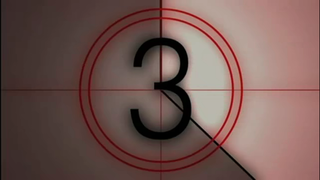 This page was last modified on 21 October 2018, at 21:54.